I think D-Ribose Powder by Healthy Origins is pretty comparable to other top brands but larger size. I use it before working out. 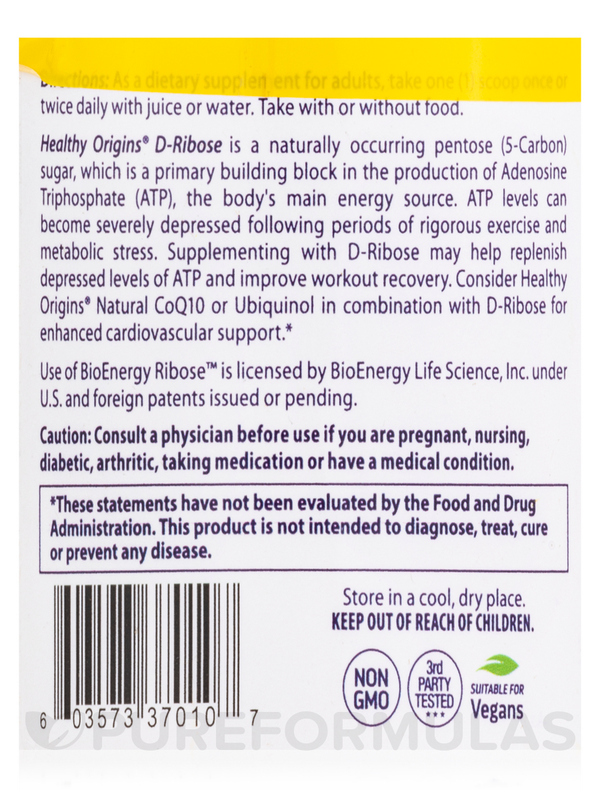 D-Ribose Powder 10.6 oz from Healthy Origins® reportedly supports the production of Adenosine Triphosphate (ATP) in your body to provide chemical energy to the cells for healthy metabolism. 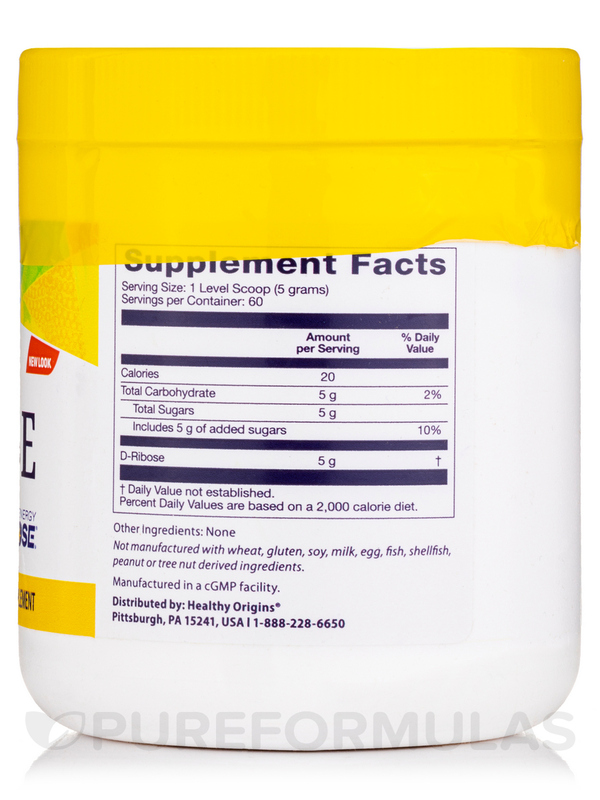 This dietary supplement does not contain GMO‚ soy‚ gluten‚ dairy‚ egg‚ fish‚ wheat‚ barley‚ yeast‚ starch‚ nuts‚ and preservatives. Studies reveal that ribose is a type of sugar produced by your body. It could potentially boost energy levels in athletes and improve their performance. 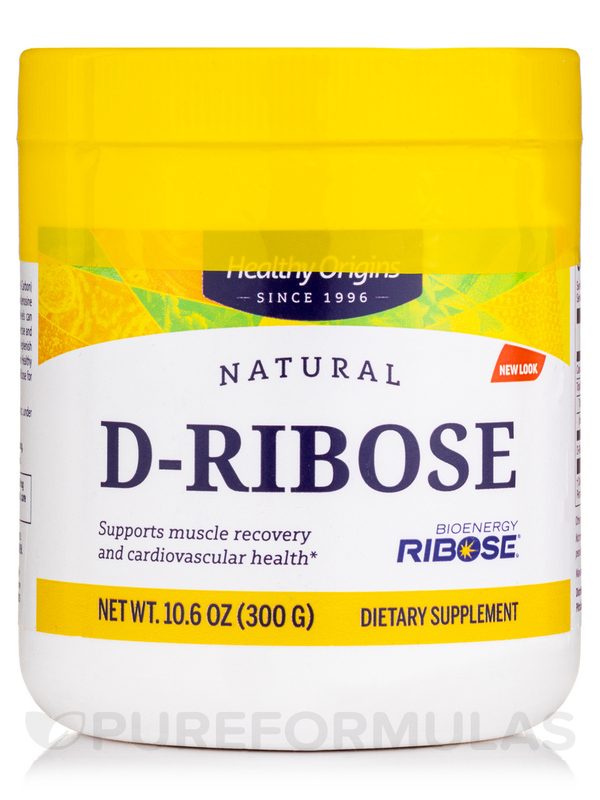 Ribose may also fight fatigue‚ reduce cramps and pain after workout‚ keep away stiffness‚ and support cardiovascular health. 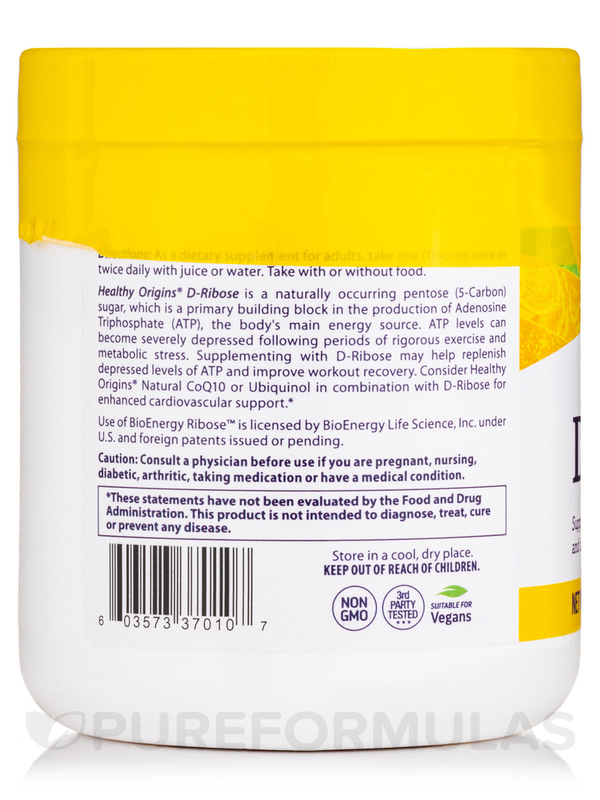 While Adenosine Triphosphate levels in your body may decrease after a rigorous workout session‚ ribose in this dietary supplement from Healthy Origins® may boost ATP levels to support recovery. By meeting the energy demands of your body’s cells and tissues‚ ribose could potentially increase exercise tolerance‚ reduce muscle pain‚ support healthy heart living‚ combat infections‚ and promote detoxification. 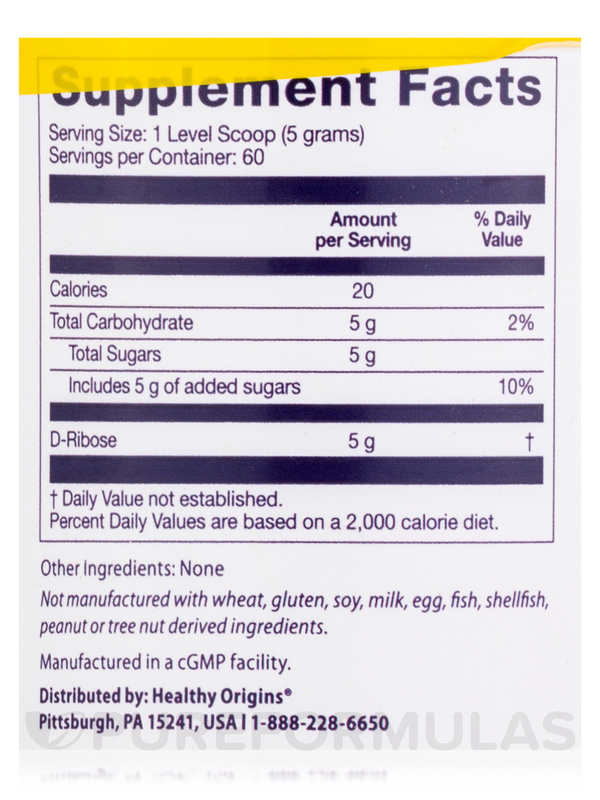 Make D-Ribose Powder 10.6 oz from Healthy Origins® a part of your daily diet and it may support suitable mitochondrial function to aid digestion‚ stimulate the immune system‚ and alleviate conditions related to your brain and heart. Does not contain yeast‚ wheat‚ gluten‚ soy‚ barley‚ fish‚ shellfish‚ peanuts‚ egg or milk. Take one (1) level teaspoon once or twice daily‚ mixed with juice or other beverage. Take with or without food. Insulin-dependent diabetics and pregnant women should consult their doctor before using D-Ribose. Need to take it in a drink, not something you can carry around.